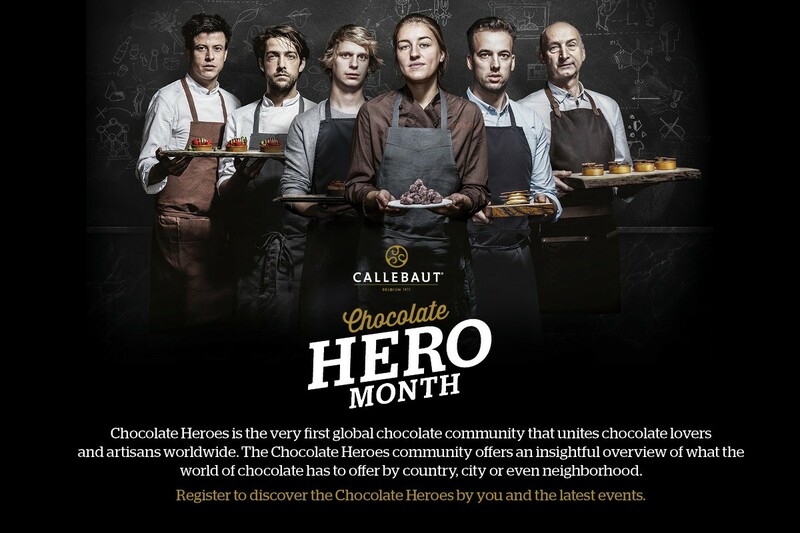 Callebaut & Houston Food Finder Present the First-Ever Chocolate Heroes Month! Memorial Bakery's layer cake with Callebaut chocolate chiffon, mousse and coffee gelatin. Photo by White Beard Photography. World-renowned chocolate company Callebaut and online publication Houston Food Finder are partnering on a month-long event series to promote Houston businesses and the Chocolate Heroes that fuel them with their craftsmanship and passion. The Houston Chocolate Heroes event series marks the very first time that Callebaut has coordinated this type of showcase in any city. 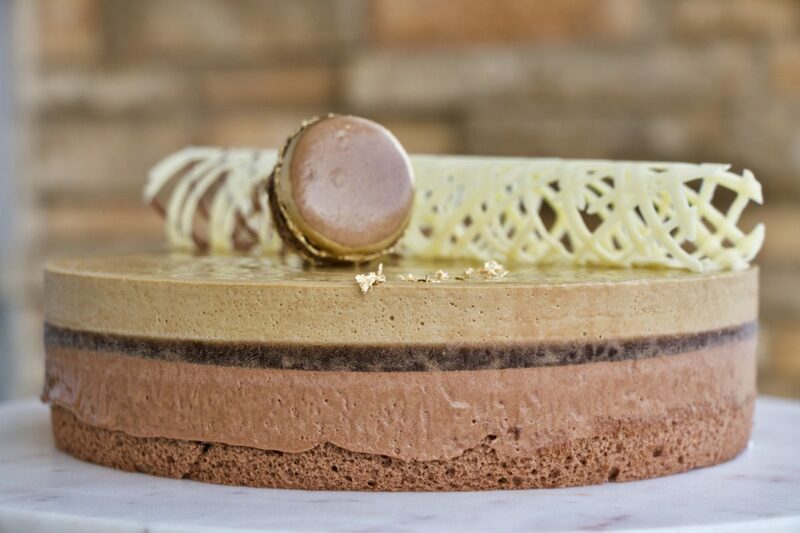 From January 7 through February 10, a Houston bakery, chocolatier or ice cream shop is creating a special dessert using Callebaut milk, dark or white chocolates — or a combination! The special desserts are available throughout the month and are featured during one special Saturday or Sunday event as well. These local professionals choose Callebaut chocolates for the outstanding quality, smoothness and consistency. On their featured event day, most chefs are offering specials. Watch for more information on those in our upcoming focus articles on each individual chef. The event series also highlights Chocolate Heroes, the first online global chocolate community that unites chocolate lovers and artisans worldwide. The community offers an insightful overview of what the world of chocolate has to offer by country, city or even neighborhood. 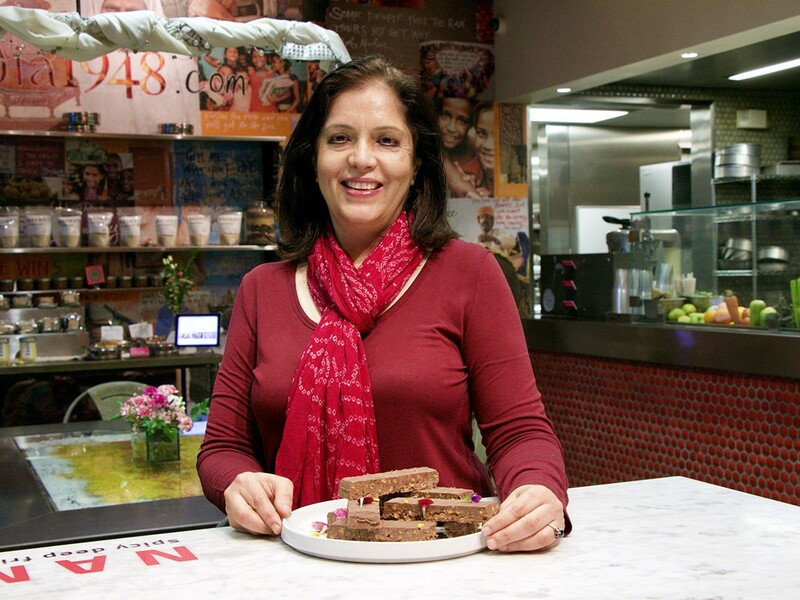 The first Callebaut Houston Chocolate Hero event showcases three-time James Beard Award-nominated chef Anita Jaisinghani of Pondicheri! Photo by White Beard Photography. Save these dates to visit these Houston Chocolate Heroes and taste their creations for yourself! View the Houston Chocolate Heroes on a map. Pondicheri Bake Shop, 2800 Kirby: Saturday, January 19 from 3 to 5 p.m.
Sweet Bribery, 250 West 19th: Sunday, January 20 from 2 to 4 p.m.
Memorial Bakery, 9415 Katy Freeway: Saturday, January 26 from 1 to 3 p.m.
Common Bond Café, 1706 Westheimer: Sunday, January 27 from 2 to 4 p.m.
Cacao & Cardamom, 5000 Westheimer: Saturday, February 2 from 1 to 3 p.m.
Delices De Maurice, 22764 Westheimer Pkwy, Katy: Sunday, February 3, 1 to 3 p.m. Cloud 10 Creamery, 3201 Louisiana: Saturday, February 9 from 2 to 4 p.m. Fat Cat Creamery, 1901 North Shepherd, Sunday, February 10 from 1 to 3 p.m.
Visit any of these shops to pick up a Houston Chocolate Hero Month Passport and collect a sticker for each of the treats throughout the month. Once you’ve collected all eight stickers, use the attached, pre-stamped envelope to mail in the passport and receive a FREE Chocolate Heroes apron!